Gerald Fauth, born in 1959 in Dresden Germany, studied piano in his home city Dresden in the class of Wolfgang Plehn and Amadeus Webersinke. Then, he had further study with Lew N. Wlassenko and Michail Pletnjow in Tschaikowsky Conservatory in Moscow in 1983 - 1984. And he completed the study at the University of Arts in Berlin. In 1984, Gerald Fauth began to teach at the University for Music "Hanns Eisler" Berlin, where he became a professor in 1992. In 2001, he became a professor for piano and chamber music at the oldest and the most traditional music university in Germany, University of Music "Felix Mendelssohn Bartholdy", Leipzig. Gerald Fauth won the prize at many national and international competitions including the 1st prize at the 8th J. S. Bach International Competition in Leipzig in 1988 and the 1st prize at the "Maria Canals" Music Competition (in chamber music) in 1987 in Barcelona. He had concert tours in all Europe, USA, Canada, Japan and South Korea. 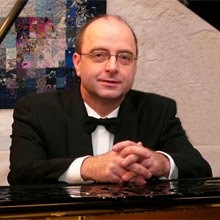 As a soloist, Gerald Fauth has performed with many renowned orchestras including Staatskapelle Dresden, Gewandhaus Orchestra Leipzig, Berlin Symphony Orchestra, Dresden Philharmonic or Seoul Symphony Orchestra. Gerald Fauth is the founding member of the Piano Trio "ex aequo" with which have been with active concert tours around the world from 1987 until 2014. He has been invited as professor or jury to international mastercourses and competitions. Gerald Fauth was the Artistic Director of the Euro Music Festival Leipzig in 2005 - 2009. 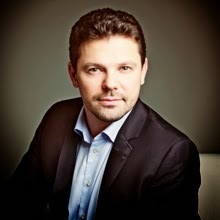 He is the Director of the International Mendelssohn Academy Leipzig since 2012 summer. The Guardian describes Alissa Margulis' playing as "exceptional", Ivry Gitlis praises it as "a revelation" and Martha Argerich calls her a "strong musical personality". Appreciated for her expressive and very emotional performances, Alissa Margulis regularly plays in important concert halls such as the Palais des Beaux Arts in Brussels, the Cologne Philharmony, the Vienna Musikverein, the Tonhalle Düsseldorf and Zurich, the St. Petersburg Philharmonic Hall, Beethovenhalle Bonn, or the Schönberg Hall in Los Angeles. She made her first public appearance at the age of seven with the Budapest Soloists and has performed since then with numerous orchestras such as the Camerata Switzerland, Kremerata Baltica, the Düsseldorfer Symphoniker, the Jerusalem Symphony Orchestra, the SWR, NDR and the WDR Rundfunkorchester, or the Orchestre National de Lorraine among others. Alissa Margulis is an enthusiastic chamber music player and collaborates with artists such as Martha Argerich, Yuri Bashmet, Julian Steckel, Ivry Gitlis, Gidon Kremer, Mischa Maisky, Lilya Zilberstein, Paul Badura-Skoda and Polina Leschenko. She further appeared at Festivals as the Jerusalem Chamber Music Festival, the Wiener Festwochen, Lockenhaus, the Menuhin Festival Gstaad, in Davos, Tours, Schleswig-Holstein, Verbier or the Maggio Musicale Fiorentino, among others. Every year since 2005 Alissa Margulis has been invited to perform at Martha Argerich's "Progetto" in Lugano. During the 2012/2013 season Alissa Margulis played concerts at the Philharmonie Essen, in Tokyo or in Guebwiller, appear with the World Youth Orchestra in Rome, Orchestre Philharmonique de Lorraine, the Stellenbosch International ChamberMusic Festival in South Africa. Further Alissa Margulis had toured in Japan with her brother Jura Margulis and in Sweden with the Camerata Nordica in February 2013 as well as gave her debut at the Enescu Festival in Bucharest in September. She performs chambermusic at Lars Vogt's "Spannungen" Festival in Heimbach as well as appear with the Orchestra della Svizzera Italiana Lugano performing the Violin Concerto of A. Glazunov under the baton of Alexander Verdernikov, which is recorded as well for CD (Avanti Classics). In 2011 two highly praised CD's were released; for the Oehms Classic label she recorded together with her brother, Jura Margulis, pieces by F. Liszt for violin and piano. Together with the Camerata Switzerland under the baton of Howard Griffith Alissa Margulis recorded Mozart's Violin Concerto No.4 for Novalis. EMI Classics produced several CDs titled "Martha Argerich and Friends" in which Alissa Margulis appears in live performance. 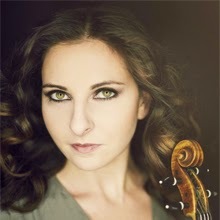 Alissa Margulis is a title holder of many international competitions (Wieniawski, Vercelli among others) and awards, such as "Pro Europa" from the European Cultural Foundation, which was presented to her by Daniel Barenboim. Alissa Margulis is violin professor at the Antwerp Conservatory of Music, Belgium. Igor Malinovsky was born in Sverdlovsk, Russia. He received for the good of the country Austria Austrian citizenship in 1995. In 1983 - 1992, he studied with Prof. Wladimir Milstein in Sverdlovsk, with Prof. Dora Schwarzberg and Prof. Gerhard Schulz in the University of Music in Vienna, Austria In 1992 - 1997 and with Prof. Zakhar Bron in the University of Music and Dance in Cologne, Germany in 1998. Igor Malinovsky was the first concertmaster of the Bavarian State Orchestra(general music director Zubin Mehta) in 2002 - 2005, the Komischen Oper Berlin(general music director Kirill Petrenko) in 2005 and the Orchester Palau des les Arts Reina Sofia Valencia(general music director Lorin Maazel). As the concertmaster, he has been invited to the Bavarian Radio Symphony Orchestra,New York Philharmonic, the Orchestra West German Radio, Symphony Orchester Cologne, Staatskapelle Dresden, Frankfurt Opera Orchestra, Nuremberg Philharmonic Orchestra, Orchestra Arturo Toscanini, Essen Philharmonic Orchestra, Beethoven Orchestra Bonn. Igor Malinovsky performed as a soloist with the Zagreb Philharmonic, the Moscow Philharmonic in Gassteig/Munich, in the Vienna Musikverein and the Vienna Konzerthaus, in the Kongresshalle Lucherne, in many tours in Asia, South America and Europe. He won the prizes in numerous compeitions such as First Prize of the International Violin Competition "Madeira-Music-Festival" in Portugal in 2002, prize of the Pablo Sarasate International Violin Competition, Pamplona, Spain in 2001, prize of Fritz Kreisler International Competition in Vienna in 1996, 2nd Prize of the International Rodolfo Lipizer Competition, Italy in 1994, First Prize of International Demidov Competition, Russia and Second Prize of Menuhin Competition in Folkstone, England in 1993, Laureate of Wieniawski Competition in Lublin, Poland in 1991 and First Prize and Winner of the Grand Prix at the Diaghilev Competition, Moscow in 1990. Malinovsky is Professor of Violin at the University of Music Carl Maria Weber, Dresden in Germany and Escola Superior de Musica de Catalunya, Barcelona in Spain. Igor Malinovsky is the Honorary member of the Switzerland Rotaryclub Kreuzlingen-Konstanz and he was awarded the Paul Harris Fellow Award appreciating his engagement to the benefit concerts for the Mine-Ex Project. Igor Malinovsky plays Pressenda Violine 1826. Nicolas Koeckert, violinist of German, Brazilian and part Jewish descent, was born in Munich in 1979 to a well-known family of musicians. He has performed at major venues internationally since many years. His expressive and passionate interpretations, combined with technical mastery and warm tone, have enthralled both audiences and the press. 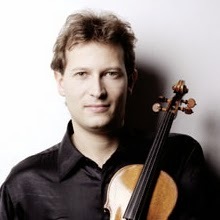 Having already won first prize in the Novosibirsk International Violin Competition in 2001, along with the award for the best interpretation of the set work and the prize for cultural excellence from the city of Novosibirsk, Nicolas Koeckert became the first German prize-winner at the prestigious International Tchaikovsky Competition in Moscow. In the same year, the state of Bavaria marked his exceptional achievements as a violinist by awarding him its prize for artistic development. In 2003, he was a prize-winner in the Montreal International Music Competition and he took the second prize in the International Liana Isakadze Competition in St. Petersburg. Nicolas has worked with renowned conductors including Lawrence Foster, Sir Colin Davis, Michail Jurowski, Jonathan Nott, Asher Fisch, José Serebrier, Christof Poppen, Saulius Sondeckis, Andris Nelsons, Theodor Guschlbauer, Ari Rasilainen, Ira Levin, Nicholas Milton, Ed Spanjaard, Victor Pablo Pérez, Fabio Mechetti, Marc Piollet, Emil Tabakov, Osvaldo Ferreira, Gabriel Feltz and Markus Poschner. He has performed worldwide with leading orchestras, including the Montreal Symphony, Russian National Symphony, Royal Philharmonic, Bamberg Symphony, KBS Symphony, German Radio Philharmonic Saarbrücken Kaiserslautern, as well as the São Paulo Symphony, Brazil Symphony, National Theatre Symphony Brasilia, Zagreb Philharmonic, Norrköping Symphony, Limburg Symphony, Lithuanian Chamber Orchestra, Cappella Istropolitana, Munich Chamber Orchestra and Bavarian Radio Symhony. As a chamber musician, Nicolas Koeckert has collaborated with artists including Liana Isakadze, Ivan Monigetti, Jan Vogler, Milana Chernjavska, Rudolf Koeckert, Ben Kim, Danjulo Ishizaka and his current pianist, Kristina Miller-Koeckert. Nicolas Koeckert gained his foundation in violin-playing from the Russian teacher Olga Voitowa. At age 16, he commenced his violin studies with Professor Grigori Zhislin at the University of Music Würzburg. From 1998, these continued with Professor Zakhar Bron at the Cologne University of Music, where he received his Master of Music degree with Distinction following a final performance in 2007. Nicolas Koeckert has now formed a close partnership with the Naxos label. In the meantime, he has assembled an extensive, prize-winning discography, including his recording of Russian and Slavonic Miniatures arranged by Fritz Kreisler which was selected as “The Strad” magazine’s recording of the month. CD releases have included arrangements by Igor Frolov, with pianist Kristina Miller-Koeckert, as well as recordings of Aram Khachaturian’s Violin Concerto and Concerto-Rhapsody with the Royal Philharmonic Orchestra under José Serebrier – a recording that Naxos chose as CD of the Month and which, for a long time, ranked third on their best-sellers list. His latest CD release, of Studies for Solo Violin and for Violin Duet by Pierre Rode, paired him with his father Rudolf Koeckert. Nicolas Koeckert has also been presented in numerous radio and television recordings around the world. Eva Sperl wurde in Hannover geboren und studierten in ihrer Heimatstadt an der Hochschule für Musik und Theater bei Bernhard Ebert und dem brasilianischen Pianisten Roberto Szidon. Nach Abschluß ihres Studiums wechselte sie an die Hochschule für Musik und Theater Leipzig „Felix-Mendelssohn-Bartholdy“. Hier folgte ein Aufbaustudium in den Fächern Klavier, Kammermusik und Liedgestaltung bei Gerhard Erber, Horst Böhm und Karl-Peter Kammerlander. Nachdem sie zunächst das Konzertexamen für Klavier ablegte, bestand sie das Konzertexamen für Kammermusik und Liedgestaltung „mit Auszeichnung“. Meisterkurse bei Klaus Schilde, Ernst Gröschel, Vitaly Margulis und Vladimir Krainev vervollständigten ihre Ausbildung. Seit 1997 hat Eva Sperl an der Hochschule für Musik und Theater Leipzig „Felix-Mendelssohn-Bartholdy“ einen Lehrauftrag für Korrepetition inne und betreut u.a. seit einigen Jahren die Studenten der Violinklasse von Carolin Widmann. Seit dem Jahr 2009 unterrichtet Eva Sperl an der Hochschule „Franz Liszt“ Weimar das Fach Werkstudium. Weiterhin übt sie eine rege Konzerttätigkeit sowohl als Kammermusikpartnerin vieler Instrumentalisten und Sänger als auch als Solistin aus und ist gefragte Begleiterin bei internationalen Wettbewerben und Meisterkursen, wie z.B. der „International Summer Academy“ der Julliard School New York und beim „Euro Music Festival“. Felix Mendelssohn Bartholdy bildet einen festen Bestandteil in den Programmen von Eva Sperl, sei es Kammer- oder Klaviermusik. So spielte sie im Jahre 2005 sämtliche „Lieder ohne Worte“ bei den Mendelssohn- Festtagen in Leipzig. 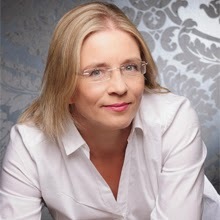 Im Jahr 2009 erhielt Eva Sperl das Stipendium der Mendelssohnstiftung Leipzig für ihren Konzertzyklus mit sämtlichen Klavierwerken Mendelssohns ohne Opuszahl. Eine CD mit repräsentativen Werken Mendelssohns ist im gleichen Jahr erschienen. Konzertreisen führten Eva Sperl nach Frankreich, Belgien, Polen, England, Spanien und Japan.